The Dawn Alliance and the United Worlds are locked in a bitter war over the rich worlds of the Green Zone. 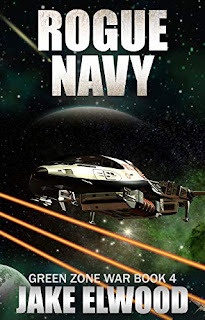 The colony of New Panama is caught between the giants, and Tom Thrush has the impossible job of leading her rag-tag navy in a desperate struggle for survival. His fleet is a mix of armed freighters and salvaged warships. The crews are former pirates with no military training. His enemy has the most powerful navy the galaxy has ever seen. With no hope of victory, he fights just to postpone annihilation. But these are the famed rebels of the Free Planets, tough and resourceful and hard as rats to kill. They might not count for much in a straight fight, but they know a thing or two about tackling impossible odds. If Tom can earn their respect, they might just teach him something about survival - or even victory.